Go ahead to know better about what is MOV format. MOV is an MPEG-4 video container and also a common multimedia format using a proprietary compression algorithm developed by Apple Computer. It is mainly used in Apple's Quicktime for saving movies and other video files, compatible with both Macintosh and Windows platforms. Some DVCPRO (HD) files are also MOV ones. The format specifies a multimedia container file that contains one or more tracks, each of which stores a particular type of data - audio, video, effects, or text (e.g. subtitles). Each track either contains a digitally-encoded media stream (using a specific format) or a data reference to the media stream located in another file. Tracks are maintained in a hierarchical data structure consisting of objects called atoms. An atom can be a parent to other atoms or it can contain media or edit data, but it cannot do both. 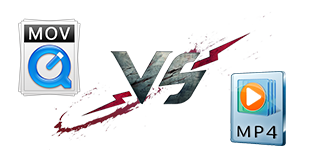 Since both MOV and MP4 containers can use the same MPEG-4 formats, they are mostly interchangeable in a QuickTime-only environment. MP4, being an international standard, has more supports, which is especially true on hardware devices like PSP & DVD players. Compability with software goes well for most DirectShow / Video for Windows codec packsinclude an MP4 parser, but not one for QTFF. 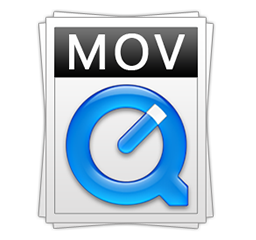 The International Organization for Standardization approved the QuickTime (.mov) as the basis of the MPEG-4 file format. The MPEG-4 file format specification was created on the basis of the QuickTime format specification published in 2001. The MP4 (.mp4) file format was published in 2001 as the revision of the MPEG-4 Part 1: Systems specification published in 1999. * Convert MOV to MP4, AVI, M4V, WMV, WebM and more other video formats easily. * By supporting hardware accelerator, it delivers the No.1 fast conversion speed. * High Quality & De-interlacing engines optimize the video image quality dynamically. Guide on how to convert QT QuickTime MOV video to MP4 on Windows (10) or Mac. Lossless convert QuickTime video to MP4 at fast speed with best QuickTime converter. Need to convert M4V to AVI file? Here a video converter empowers you to convert M4V video files to AVI format on Windows 10, 8, 7, Mac OS X operating systems. Can't play MOV files on Android tablets and phones? Take it easy. This post will show you the best way to play .mov video files on Android, regardless of video audio codec.